Paul Stastny caused another ripple of moves in the Western Conference. He left Winnipeg to sign a three-year, $19.5 million contract with the Stanley Cup finalist Vegas Golden Knights – a spot left open after David Perron returned to St. Louis by signing a four-year, $16 million deal. ”They’ve accomplished so much in such little time. You can only think about the trajectory they’re on, and that’s what gets me excited,” Tavares said. -Veteran defenseman Jack Johnson signed a five-year, $16.25 million contract with Pittsburgh. 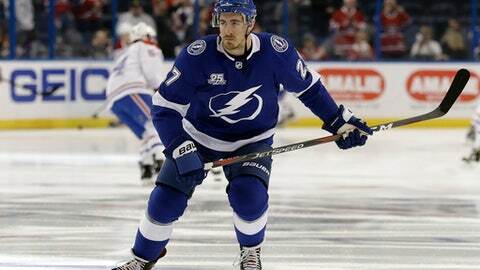 The 31-year-old Johnson is a 12-year NHL veteran, who spent the past six-plus seasons with the Columbus Blue Jackets. -The Colorado Avalanche added two former Blue Jackets in signing defenseman Ian Cole and forward Matt Calvert to three-year deals. Cole gets $12.75 million and Calvert gets $8.4 million. -The Sabres filled a need at goaltender by signing former St. Louis Blues backup Carter Hutton to a three-year, $8.25 million deal. Hutton will share the starting duties with Linus Ullmark, who is pegged to make the jump to Buffalo after three seasons in the minors. -The Arizona Coyotes signed All-Star defenseman Oliver Ekman-Larsson to an eight-year contract extension that averages $8.25 million per year. -The San Jose Sharks announced a $64 million, eight-year extension with center Logan Couture. -The New York Rangers agreed to sign restricted free-agent forward Vladislav Namestnikov to a two-year, $8 million deal.